He and his wife, Mandy have three daughters: Montana, Matisse and Leilani... He supports the Rally Foundation, which looks to cure childhood cancer, the Hit 'Em for Hemophilia Charity Golf Tournament, and CURE, another organization that fights childhood cancer... Is the co-owner of Apollo Cafe in West Melbourne, Australia. Made 79 appearances with Kansas City, tied with CLE's Bryan Shaw for most in the majors...His total was the second highest in franchise history, trailing only Dan Quisenberry's 84 in 1985... Did not record a decision over 79 appearances, the second-most outings without a decision in major league history...Randy Choate pitched in 80 games without receiving a decision to set the record in 2012... Has not lost in 177 consecutive appearances, dating to 9/9/11...The streak is tied with LHP Sam Freeman for the longest active streak without a loss in the majors, and is tied for the thirdlongest undefeated streak in MLB history...Only Trevor Miller (240 games, 2006-09) and Glen Perkins (181 games, 2012-14) have had longer such streaks... Led the majors with 64 inherited runners... Allowed 15 to score (23.4 %), for the 17th-best percentage in the American League... Tied for sixth in the AL with 24 holds, the secondhighest total of his career (25 in 2009)...Twentyfour holds were the fifth most in a single season by a Royals reliever in franchise history. Made 34 appearances in which he threw nine pitches or less, second most in the majors behind SEA's Marc Rzepczynski (46)... Ranked sixth in the American League and ninth in the majors with a 1.57 ERA (5 ER/28.2 IP) after the All-Star break...Allowed just one run over his final 22 appearances... Righties hit .161 (28-for-174) against him, the fourth-lowest mark in baseball (minimum 150 at-bats). Pitched in 14 Major League games across two stints with the Dodgers after starting the season as a non-roster invitee at Spring Training...began the season at Triple A Albuquerque before getting selected to the Major League roster on May 31...optioned back to Triple A on June 29...recalled to Los Angeles again on Sept. 1 where he remained through the end of the regular season...did not make the postseason roster...struck out 45 and posted a 2.74 ERA (14ER/46IP) in 38 games at Triple A. Made eight appearances with Atlanta as a September call-up, allowing one earned run in 5.0 innings...held opposing hitters to a .167 average (3x18) including a .125 mark (2x16) against right-handers...worked his way back from shoulder surgery that was performed on Oct. 3, 2011...did not make his first appearance of the season until June 30 while with the Rookie Level GCL Braves...pitched at four levels of Atlanta's minor league system (Rookie, Class A, Double A, Triple A) during his rehab, compiling a 6.35 ERA in 22.2 innings pitched over 21 games (three starts). Earned first win of the season (18th of his career) with 1.0 scoreless inning of relief on 4/4 at MIL...Reinstated 9/4 from the 60-day DL after missing 123 games with a lower back strain. Had surgery on 5/17 to repair a bulging disc. In six rehab appearances with Gwinnett (AAA), allowed one earned run on five hits while striking out 10 batters in 6.0 IP...Suffered a torn right labrum and rotator cuff that landed him on the DL from 9/28 to the end of the season. ... Tied for second in the Majors with 85 appearances. Since the start of the 2009 season his 172 games aresecond-most among all Major League relievers (Pedro Feliciano, 180). Moylan joined Feliciano to becomethe only two Major Leaguers with three-straight seasons of 80-or-more appearances (since 2008). ... Allowed an inside-the-park homer on 6/9 at ARI to Gerardo Parra, when OFs N. McLouth and J. Heywardcollided. It snapped his streak of consecutive homerless outings at 123 dating back to 3/30/08. ... Allowed five home runs in 2010, with his first "over-the-fence" home run of the year coming on 6/29 toWSH's J. Willingham. It was his first "over-the-fence" homer he allowed since Opening Day 2008 (3/30/08)to WSH's R. Zimmerman, a span of 132 appearances. ... Earned his sixth win on 9/10 vs. STL to match his career high from 2009. ... Inherited 68 runners, the most in the Majors, and allowed 21 (30.9%) to score. Pitched in 87 games (2nd in Majors) and didn't allow a home run. According to the Elias Sports Bureau, he established a Major League record for the most games in a season without allowing a homer...Became the first Brave with two 80-appearance seasons (80 in 2007, 87 in 2009)...His last home run allowed was on 3/30/08 (Opening Day) to WSH's Ryan Zimmerman..Has won five consecutive games dating back to 6/30 at FLA...Won his career-high sixth game on 8/23 with a scoreless inning pitched...Tossed 14.1 scoreless innings from 7/24-8/26. After appearing in just seven games, he was placed on the disabled list (right elbow strain) from 4/12 to the end of the 2008 season; underwent successful "Tommy John" surgery by Dr. James Andrews in Birmingham, Ala., on 5/8 due to a bone spur that had broken off and compromised the elbow ligament....Earned second career save on 4/11 at WSH with a perfect ninth inning (2 K). His other save was 4/27/07....At the time of his surgery he was tied for second in the majors with four holds. Had one in four straightgames before saving the fifth game on 4/11....Charged with a blown save on 3/31 vs. PIT due to a throwing error on a routine grounder in the 7th inn....Gave up R. Zimmerman's ninth-inning walkoff HR on 3/30 at WSH after retiring the first four batters. Returned to American baseball for the first time since 1997, when he was with the Twins. Dropped down to a sidearm motion the previous winter and added nearly 10 miles per hour to his fastball...Was a surprise pick for the Australian World Baseball Classic squad following his performance in the February Claxton Shield tournament...Struck out four in an outing against Venezuela in the WBC, including Bobby Abreu, Marco Scutaro and Magglio Ordonez in his only WBC outing...Following the WBC, signed a minor-league deal with the Braves on 3/10...Contract was purchased from Richmond (AAA) on 4/11 and he made his Major League debut with a scoreless inning on 4/12 vs. PHI. Became the 23rd Australian-born player to appear in the majors...Returned to Richmond on 4/22...Was called up for a second time on 5/3, saw action in six games, thenreturned to Richmond on 5/19. Made third stint 7/15-19, and a fourth stint from 9/3 to the end of the season...Threw a scoreless inning in back-to-back two appearances (7/17 & 7/18 at STL) before being optioned back to Richmond on 7/19...Entered in eighth inning in Gm 1 on 9/3 at PHI and fanned P. Burrell...Appeared in 35 games at Richmond and went 1-7 with a 6.35 ERA and a save. Played a second	season with the	Gulf Coast Twins and didn't allow a home run in 40.0 IP. Started	his professional career	as a free agent in the Minnesota Twins organization. October 29, 2018 RHP Peter Moylan elected free agency. October 29, 2018 Atlanta Braves activated RHP Peter Moylan from the 60-day disabled list. August 31, 2018 Atlanta Braves transferred RHP Peter Moylan from the 10-day disabled list to the 60-day disabled list. Right forearm strain. August 25, 2018 Atlanta Braves sent RHP Peter Moylan on a rehab assignment to Gwinnett Stripers. July 31, 2018 Atlanta Braves placed RHP Peter Moylan on the 10-day disabled list retroactive to July 29, 2018. Right forearm strain. July 14, 2018 Atlanta Braves activated RHP Peter Moylan from the 10-day disabled list. July 2, 2018 Atlanta Braves placed RHP Peter Moylan on the 10-day disabled list. Right forearm strain. February 19, 2018 Atlanta Braves signed free agent RHP Peter Moylan. November 2, 2017 RHP Peter Moylan elected free agency. April 2, 2017 Kansas City Royals selected the contract of RHP Peter Moylan from Omaha Storm Chasers. March 31, 2017 RHP Peter Moylan assigned to Omaha Storm Chasers. February 26, 2017 RHP Peter Moylan assigned to Kansas City Royals. November 3, 2016 RHP Peter Moylan elected free agency. June 1, 2016 Kansas City Royals recalled RHP Peter Moylan from Omaha Storm Chasers. May 29, 2016 Kansas City Royals optioned RHP Peter Moylan to Omaha Storm Chasers. May 12, 2016 Kansas City Royals selected the contract of Peter Moylan from Omaha Storm Chasers. April 5, 2016 RHP Peter Moylan assigned to Omaha Storm Chasers. March 30, 2016 Kansas City Royals signed free agent RHP Peter Moylan to a minor league contract. March 28, 2016 Kansas City Royals released RHP Peter Moylan. March 2, 2016 RHP Peter Moylan assigned to Kansas City Royals. February 3, 2016 RHP Peter Moylan assigned to Omaha Storm Chasers. January 27, 2016 Kansas City Royals signed free agent RHP Peter Moylan to a minor league contract and invited him to spring training. November 2, 2015 RHP Peter Moylan elected free agency. August 16, 2015 Atlanta Braves selected the contract of RHP Peter Moylan from Gwinnett Braves. July 6, 2015 Gwinnett Braves activated RHP Peter Moylan from the 7-day disabled list. July 2, 2015 Gwinnett Braves placed RHP Peter Moylan on the 7-day disabled list retroactive to June 29, 2015. June 2, 2015 RHP Peter Moylan assigned to Gwinnett Braves from Rome Braves. May 31, 2015 RHP Peter Moylan assigned to Gwinnett Braves. April 9, 2015 RHP Peter Moylan assigned to Rome Braves from Danville Braves. March 11, 2015 Atlanta Braves signed free agent RHP Peter Moylan to a minor league contract. March 11, 2015 RHP Peter Moylan assigned to Danville Braves. March 26, 2014 Houston Astros released RHP Peter Moylan. January 14, 2014 RHP Peter Moylan assigned to Oklahoma City RedHawks. December 4, 2013 Houston Astros signed free agent RHP Peter Moylan to a minor league contract and invited him to spring training. October 29, 2013 RHP Peter Moylan elected free agency. October 22, 2013 Los Angeles Dodgers designated RHP Peter Moylan for assignment. October 21, 2013 Los Angeles Dodgers activated RHP Peter Moylan. October 3, 2013 Los Angeles Dodgers reassigned RHP Peter Moylan to the minor leagues. September 1, 2013 Los Angeles Dodgers recalled RHP Peter Moylan from Albuquerque Isotopes. June 29, 2013 Los Angeles Dodgers optioned Peter Moylan to Albuquerque Isotopes. May 31, 2013 Los Angeles Dodgers selected the contract of Peter Moylan from Albuquerque Isotopes. January 16, 2013 Peter Moylan assigned to Albuquerque Isotopes. January 15, 2013 Los Angeles Dodgers signed free agent RHP Peter Moylan to a minor league contract and invited him to spring training. November 30, 2012 RHP Peter Moylan elected free agency. October 7, 2012 Atlanta Braves activated RHP Peter Moylan. September 1, 2012 Atlanta Braves selected the contract of RHP Peter Moylan from Gwinnett Braves. August 3, 2012 Peter Moylan roster status changed by Gwinnett Braves. July 27, 2012 RHP Peter Moylan assigned to Gwinnett Braves from Mississippi Braves. July 22, 2012 Peter Moylan assigned to Mississippi Braves from Rome Braves. July 13, 2012 Peter Moylan assigned to Rome Braves from GCL Braves. June 30, 2012 Peter Moylan assigned to GCL Braves. April 4, 2012 RHP Peter Moylan assigned to Gwinnett Braves. February 11, 2012 Atlanta Braves signed free agent RHP Peter Moylan to a minor league contract and invited him to spring training. December 12, 2011 RHP Peter Moylan elected free agency. October 31, 2011 Atlanta Braves activated RHP Peter Moylan from the 60-day disabled list. 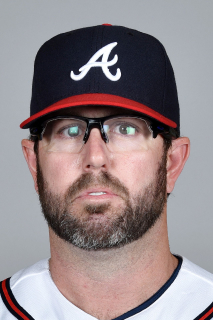 September 28, 2011 Atlanta Braves placed RHP Peter Moylan on the 60-day disabled list. Torn right rotator cuff. September 4, 2011 Atlanta Braves activated RHP Peter Moylan from the 60-day disabled list. August 22, 2011 sent RHP Peter Moylan on a rehab assignment to Gwinnett Braves. May 23, 2011 Atlanta Braves transferred RHP Peter Moylan from the 15-day disabled list to the 60-day disabled list. April 15, 2011 Atlanta Braves placed RHP Peter Moylan on the 15-day disabled list. April 14, 2007 Atlanta Braves activated RHP Peter Moylan. September 3, 2006 Atlanta Braves activated RHP Peter Moylan. July 19, 2006 Atlanta Braves reassigned RHP Peter Moylan to the minor leagues. July 15, 2006 Atlanta Braves activated RHP Peter Moylan. May 19, 2006 Atlanta Braves reassigned RHP Peter Moylan to the minor leagues. May 3, 2006 Atlanta Braves activated RHP Peter Moylan. April 21, 2006 Atlanta Braves reassigned RHP Peter Moylan to the minor leagues.